2903 Saintsbury Plaza #406, Fairfax, VA.| MLS# 1001927446 | Northern VA Real Estate Agent Dave Martin | 703-585-4687 Residential real estate services for Home Sellers and Buyers with expert negotiation and marketing strategies and experience. Seller has dropped price $30, 000. Now priced $110, 000 less than Atrium.- Vienna Metro location, rare opportunity with PENTHOUSE corner unit in the Main Building (Club & Fitness Rooms are in the main building). 1, 264 Square Feet not including balcony terrace. Age 55+ Bldg. 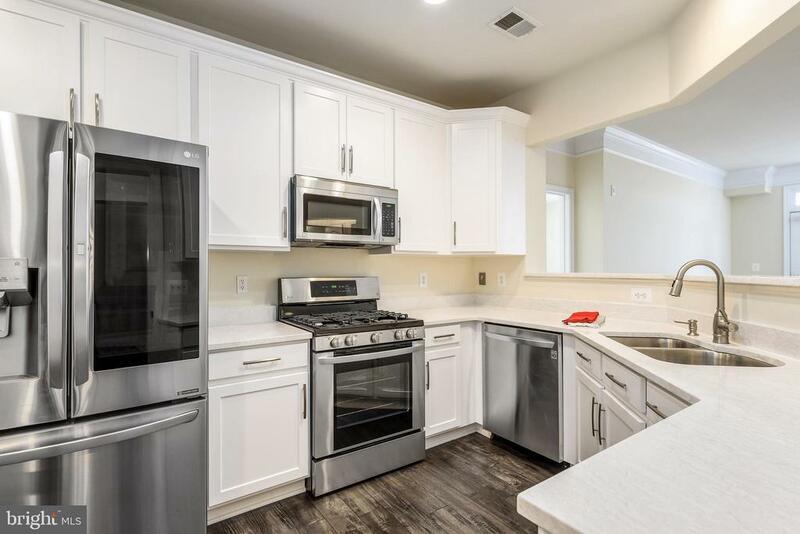 Beautifully renovated LIGHT-FILLED unit with Gourmet Kitchen, NEW Quartz Counters, NEW Solid Wood Kitchen Cabinetry, NEW high end carpeting, NEW LG Stainless Steel Appliances, NEW engineered wood floors. Moen Kitchen faucet. Luxurious Master Bathroom, both soaking tub and shower stall. Split BR open floor plan with generous separate LR & DR. 9+ feet Ceilings; Private STORAGE Room #37 (300sf) in bldg. Sprinkler system in every room. Full-time Concierge. Double-wide Balcony terrace (22ft) with magnificent views. 3 Elevator banks. Home warranty. Tremendous advantage of living on the top floor because there is no noise factor above, plus the long distance views. Eastern and Northern light exposure. Directions: 66 W to exit # 62. S Nutley. Right onto Swanee Lane, 2nd stop sign Left onto Saintsbury Plaza to building # 2903.